It’s true – one of the toughest things to do is select a paint color or colors for your home whether it’s interior or exterior or both! I’ve seen client’s fall in love with a color on a color chip only to hate it when it goes up on the wall. 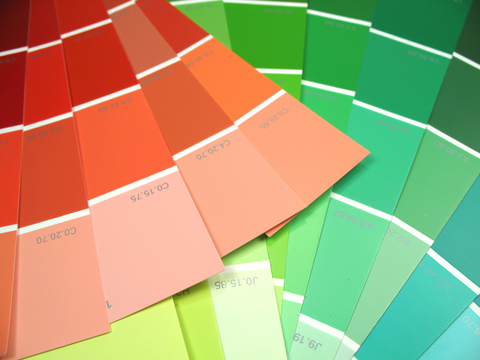 That’s because color chips can only represent approximately what the paint color is or what it will look like. The chips are rarely spot on because the environment will change how the color looks and how you see color. You may pick a color for your kitchen and love it in the morning when you first get up and hate it in the afternoon after the natural light shifts and it can be totally different again in the evening once you turn on lights. So you ask “how can I ever be sure?” My recommendation to my Interior Design clients is to put it on the wall and I am not talking a tiny little patch but actually buying a quart and painting it on the wall in as large a swath as you can reach – say something like 4’ x 4’ and put it on all 4 walls and then look at it at different times of the day. The cost and time investment is nominal and worth it not to repaint if you select something you don’t love. If you don’t have the freedom to put it on the actual wall then buy some large pieces of art board and paint the art board and then you can move that board around to see how it looks at various times of day on all the walls. 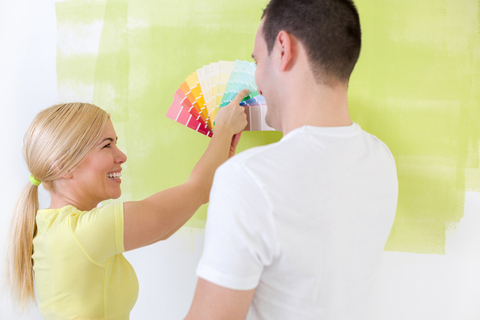 There are many design tools and Interior Designers that can help you narrow down your choice. Many paint companies offer apps you can download to your table or phone or tools on their websites that can help you take the guesswork out of choosing a paint color. In many cases you can even match a color to a picture you have saved on your phone. Some of these tools will also let you try out different colors in a room by virtually painting uploaded photos. Check out Benjamin Moore’s “Color Capture” and Sherwin-Williams “ColorSnap”. Behr paint also has an app called “ColorSmart”. 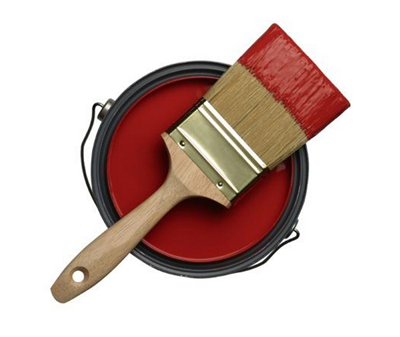 Another question that comes up with selecting a paint color is the “sheen”. There is Flat, Eggshell, Satin, Semi-Gloss, Gloss, and others. Most paint decks will have a sample page of sheens that you can select from or talk to your local paint store person or painter to better understand. And there is a lot of info about this on the web – just search for “paint sheen”. And of course your Interior Designer will be a big help with this. And what about hue? Tint? And Shade? Just remember “Hue” is the color … red, green, blue, etc. Tint and Shade are terms used to describe how a color varies from its original hue. If white is added, the lighter version of the color is called a tint of the color. On the other hand, if black is added the darker version of the color is called a shade of the color. Most importantly – have fun and take some chances. Although, it can be daunting to pick the right color it is fairly easy to change if you get it wrong.